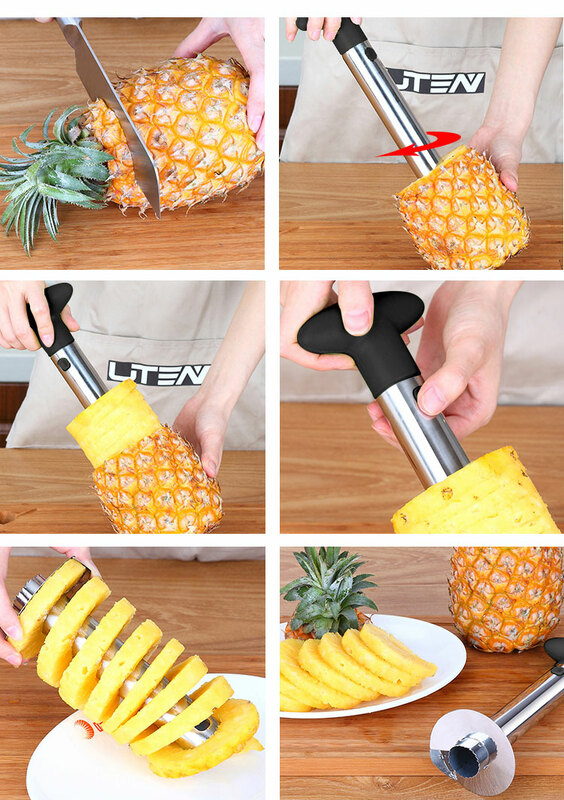 This Handheld Cylindrical Pineapple cutter with Circular blade is specially designed to peel, core and slice pineapples in 3" diameter rings. Easy to Clean. 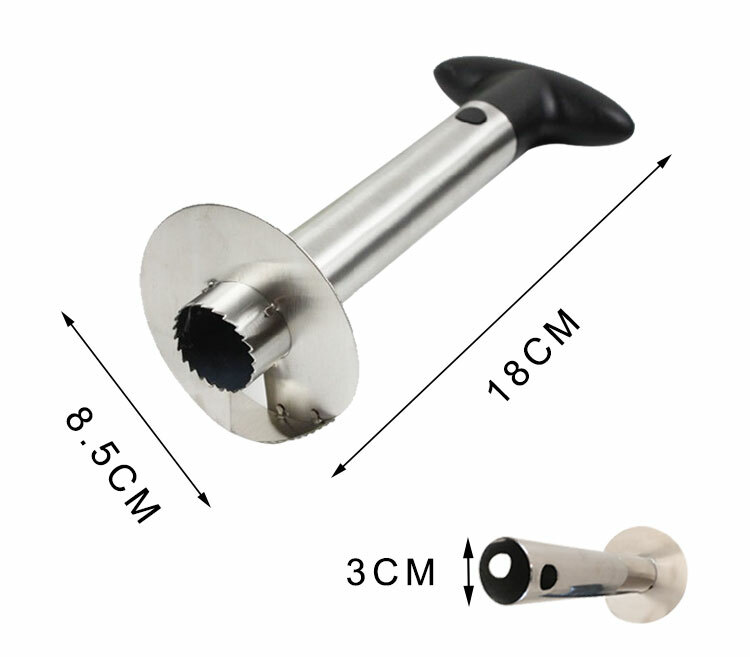 Made of 18/8 Stainless Steel and Plastic Handle. Works twice as fast as ordinary peelers. 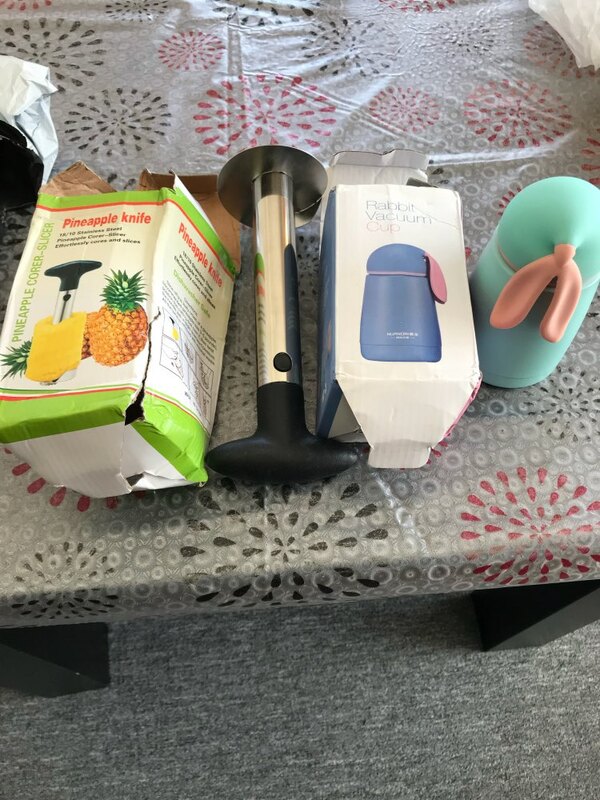 Makes Perfectly shaped pineapple rings and retains the juice in the pineapple.